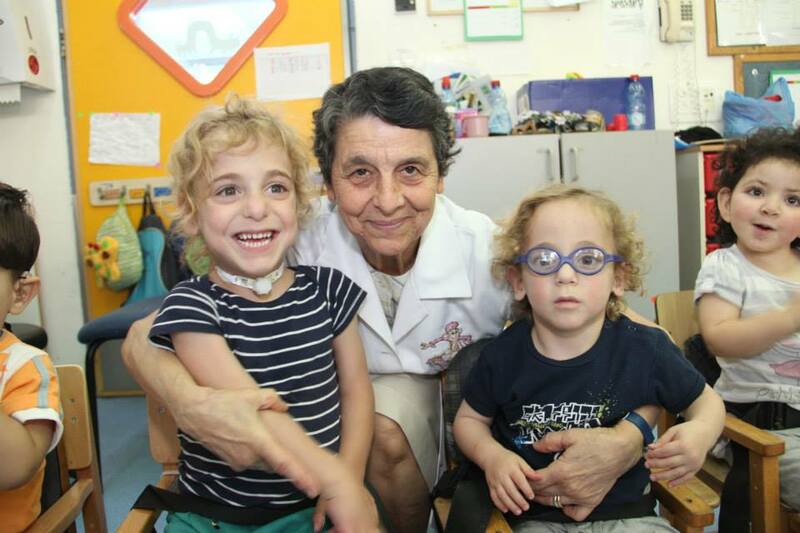 72 year old nun from the French Hospital in Jerusalem, has been a volunteer in the rehabilitation medical day care of the ALYN Hospital for the past 13 years. Anne comes to the daycare twice a week and works with the children with much joy and dedication. Anat Peled, the day care teacher says that in spite of her age, Anne works harder than everyone else. She also brings useful gifts for the children and to the daycare. Last week, for instance, she brought a Hebrew-English-Italian dictionary, for a new immigrant from Italy who joined the daycare. The children are strongly connected to her. Anne talks about the children with great excitement: "This is a place of happiness, together with the pain there's so much love and miracles here. It is difficult at times, but I always come, give as well as receive from everybody, the children and the staff.
" The 2-3 year old toddlers of the Anat day care are in need of daily medical supervision which is part of the Shachar Rehabilitation Educational Medical Day Care Center of ALYN.